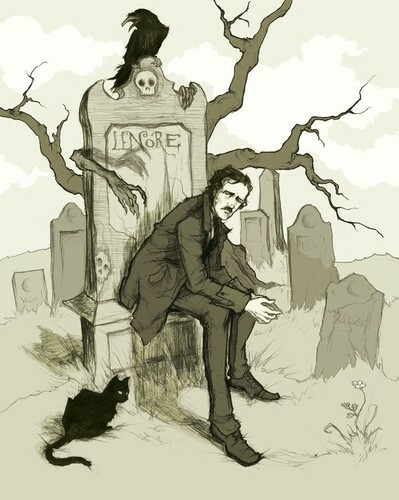 Edgar Allan Poe. . HD Wallpaper and background images in the Poets & Writers club tagged: photo writers poets literature edgar allan poe books reading. This Poets & Writers fan art might contain street, city scene, urban setting, newspaper, paper, magazine, tabloid, rag, anime, comic book, manga, and cartoon.